Pastor Kelly earned an AA degree in social work from Gulf Coast Community College, and a Doctor of Ministry degree from Beacon University, Institute of Ministry. He also obtained recognition as Outstanding Minority College Student; Outstanding Young Men of America; and Who’s Who among American Jr. College Students. While serving in the military, he received awards for outstanding graduate from the NCO Leadership School and the NCO Academy. In addition to these, Pastor Kelly has received awards for his community service. He served as an advisor on the Multi-Ethnic Advisory Board for Gulf Coast Community College for 13 years, and was an amateur writer for the local NAACP news publication. “Don’t Cuss Me Out” is his first book in print, and is a must read book for all pastors and leaders. In addition to Shepherding, Pastor Kelly is involved in jail ministry, and street evangelism. He travels conducting five-fold ministry training sessions, and seminars on church order and government. He been involved in street evangelism and jail ministry. 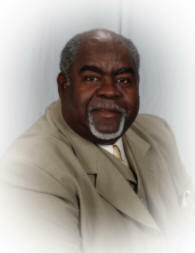 He has also mentored young boys through his involvement in the local school system. Pastor Kelly’s call to disciple men and boys led to the establishment of the “Men Reaching Men for Jesus” annual conference. Pastor Kelly has a great love for people and a tremendous passion for the ministry God has entrusted to him. He is a pastor to pastors, the founder of the Agape Fellowship of Independent Pastors (AFIP), the overseer of covenant churches and a father to many sons and daughters around the globe. 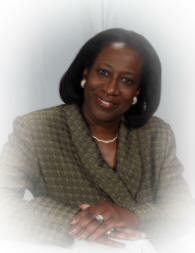 Elder Margie Kelly, D. Min. Maudene (Margie) Kelly is an ordained Elder at Free Spirit Community Church. She is married to Pastor James M. Kelly, the founder and overseer of Free Spirit Community Church, located in Panama City, FL. In addition to her ministerial duties, she serves as church administrator and overseer of all ministry departments. Pastor Margie has had the honor of touching many lives during these 41 years of ministry. She has a deep love for hurting people and seeks to minister to that need through various means. Her overwhelming desire to see the healing of wounded souls sparked the production of her first book “Limping In Hi-Heel Shoes.” This book preaches a liberating straightforward word designed to bring insight and deliverance from deep inner pain. “Margie Kelly Ministries” was also established to provide further outreach to women through conferences, special events, publications and more. Pastor Margie counts it a privilege to work along side her husband in a special ministry to pastors. 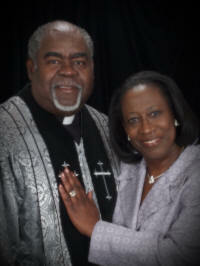 Together they founded the Agape Fellowship of Independent Pastors (AFIP). This ministry provides hands on assistance, resources, encouragement, and ministry training to Independent Pastors, their wives and their churches. Pastor Margie’s ministry also reaches into Haiti. She serves passionately on the mission team to this country. Pastor Margie holds an AA degree in Social Work from Gulf Coast State College, and a Doctor of Ministry degree from Beacon University-Institute of Ministry. She has received awards for academic excellence and recognition for outstanding minority student. She has two sons, a beautiful daughter-In-Love, and one phenomenal grand-daughter. She is also mother to many spiritual sons and daughters around the globe.